One has heard the question before: “What is going to happen in Afghanistan?” There are two reasons for revisiting it. The first is the delegation-level talks between Zalmay Khalilzad, the US special representative for Afghanistan, with Pakistani authorities in Islamabad on Thursday. Both sides agreed there that direct talks between the Afghan government and Afghan Taliban were essential to ending the 17-year-old war in the country. The second is the statement by the spokesman of Pakistan’s foreign office, Mohammad Faisal, on the same day that India had no role in Afghanistan and that Islamabad had played a key role in arranging talks between the Taliban and the US. It is clear that Washington and Islamabad are now working closely together on Afghanistan. Also, Pakistan sticks to its old position that it does not want India to have anything to do with Afghanistan. The shift in the US posture from the minatory — withholding aid to compel Pakistan to act against the Afghan Taliban — to the cooperative, clearly stems from the Trump administration’s keenness, bordering on desperation, to end the war in Afghanistan and bring its troops home. That this is so is corroborated by the Trump administration’s decision, announced on December 20, to withdraw 7,000 troops from Afghanistan by this summer. The shift in the US position was discernible as early as July last year, when the Trump administration began seeking direct talks with the Taliban, a significant shift in American policy given Taliban’s long-held position that they would first discuss peace only with the Americans, while the US had been insisting on the Afghan government’s participation. Since then, Khalilzad has met Taliban representatives in Doha, Qatar and has been conducting what can be called talks that could lead to formal talks to end the conflict. The question is: Where do things go from here? So far, the Taliban can be seen to have been insisting on two fundamental demands. It would not entertain any delegation from the present Afghan government. The country’s constitution will have to be changed. It is difficult to see them relenting on either; the US government’s keenness to end the conflict is liable to convince them that they have only to sit tight and a desperate Washington would leave under circumstances in which they can march to Kabul and grab power. This would be in keeping with the strategy of attrition they have followed so far vis-à-vis the Americans and their Western allies. Their logical strategy will be to go on talking about holding formal talks while further building up their strength on the ground while carrying out high profile terrorist strikes and attacks on cities to demoralise the Afghan government and security forces. It is not just a question of strategy. There are fundamental differences on the issue of the Constitution. The Taliban do not recognise the present Afghan constitution approved in 2004 by a Loya Jirga (a grand tribal council with legislative functions). On their part, they issued in 2005 their Order of the Islamic Emirate of Afghanistan, the nearest document to a constitution they have produced. There is inadequate space here for a discussion of the fundamental differences between the two in detail. Suffice it so say that they relate to the political systems they stand for. The Afghan constitution has established a democratic system of government in which a popularly elected president is the head of state and government. 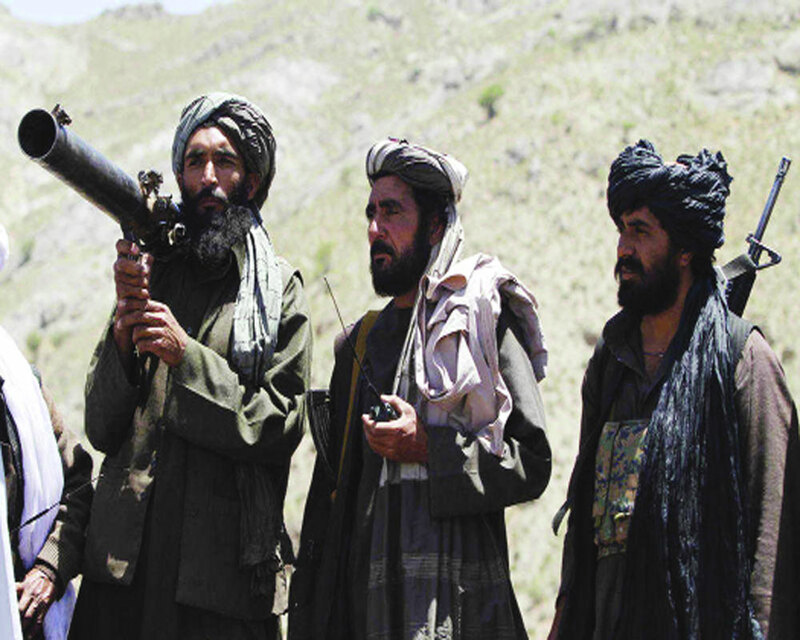 The Taliban order, by contrast, proclaims Afghanistan as an Islamic Emirate under the leadership of Mullah Mohammad. The legislative and judicial branches of the two systems differ significantly. The Afghan constitution has established a bicameral National Assembly in which the lower house is directly elected and the upper house consists of a mix of indirectly elected and presidentially appointed senators. The Taliban order, by contrast, establishes a single chamber Islamic Council as the highest legislative organ, whose members are appointed by the Amir ul-Momineen (Commander of the Faithful) based on their familiarity with the principles of jihad and sharia. The order does not mention how the Amir ul-Momineen is to be selected nor how long an individual may serve in this role. It does, however, specify that he must be a male Muslim follower of the Hanafi school of Islamic jurisprudence. Of course, there will be many twists and turns on the way. One would need to see what the Russians, who have been holding a parallel peace process in Moscow with the participation of the Taliban, do. Whatever happens, India has to get actively involved. Its historic ties with Afghanistan have been deepened and reinforced by the ones developed in recent years. It has already invested nearly $3 billion in building up Afghanistan’s institutional, welfare and educational infrastructure and provided educational and technical assistance to re-build indigenous Afghan capacity in different areas. It has been encouraging investment in Afghanistan’s natural resources and providing duty-free access to the Indian market for Afghanistan’s exports. It has signed a strategic partnership agreement with Afghanistan in 2011 and has been supporting an Afghan-led, broad-based and inclusive process of peace and reconciliation, and advocating the need for a sustained and long-term commitment to Afghanistan by the international community. Given Pakistan’s attitude and the unpredictability of Trump’s policies and actions, India has to make all concerned — including Russia and China — that it needs be a party to any peace process. For this, it must show its willingness to support the Kabul regime not only with investments and financial and technological aid but military hardware. It has so far provided it with attack helicopters — more are on the way — and training its military personnel. It must now consider giving it heavy artillery, tanks and combat aircraft phased here but good enough for fighting the Taliban.